New collar and tags have arrived! 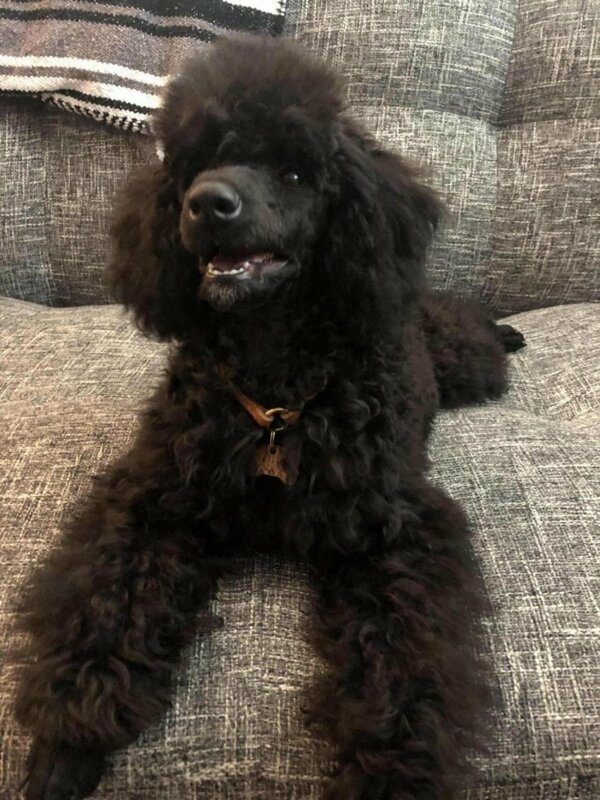 - Poodle Forum - Standard Poodle, Toy Poodle, Miniature Poodle Forum ALL Poodle owners too! New collar and tags have arrived! 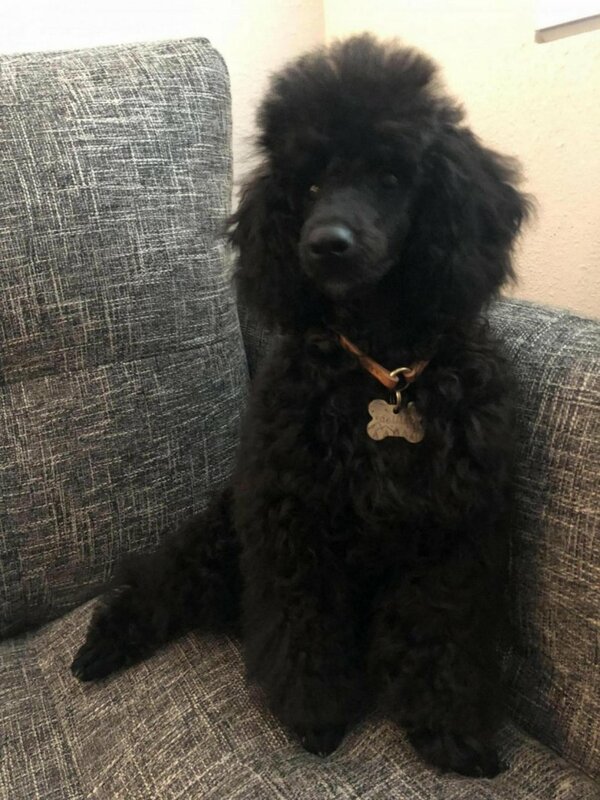 Poodle Pictures Share those lovable poodle pictures with the world! I’m so obsessed with the pup stuff on Etsy! After an entire month the tag finally arrived! And it matches so beautifully with the collar. 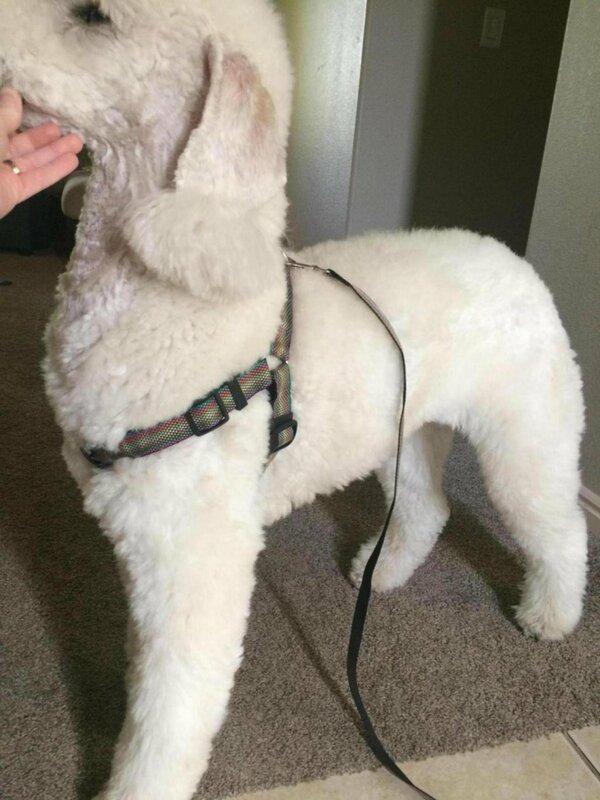 She doesn’t scratch at her neck with this collar either like she did with the other. I love her collar and tag! She is so cute! You posted this at the absolute perfect time because I have been eyeing these and a bunch of other collars on Etsy!!! I should probably start my own thread asking the best type of collar to get, but if you don’t mind me asking here, can you tell me how you decided to go with a tag collar? I would love to get a tag collar because I love the way they look on the dogs, however I keep debating back and forth because my girl has never worn a collar indoors, and with the tag collars they are impractical for going on walks. I love how they sit low and loose though, and if they get caught they are easily able to pull their head out. But I don’t know if I would have her start wearing a collar inside now? And if I get a collar for walking, that’s a whole other bunch of questions - martingale or buckle? Metal or plastic buckles? Width of collar? Ugh it is so overwhelming that I probably will just never order. Sorry to go off on a tangent there, it has just been on my mind a lot the past few days. I absolutely adore your collar and tag... I believe I was looking at that exact same collar. I need to make a decision on this soon! Very pretty, but don't leave it on if she is in a wire crate or ex pen. The tag can go through between the wires and get stuck. You don't really want to think about the outcome if you aren't there to rescue her. Her breeder advised us not to microchip for a few months because growth can affect chip placement and cause problems - so I wanted something as a “just in case” identification. She also hated her nylon collar with the snap in buckles - she scratched like no tomorrow with that thing on! Now whenever we are puttering about I feel a little safer. I don’t mind using this as it slips on and off so easily and doesn’t bother her at all! I use a harness for walks, so we are taking that on and off every time we go outside anyway. She is VERY energetic and still so young so I feel that a harness is safer for her than something she can pull against her neck. 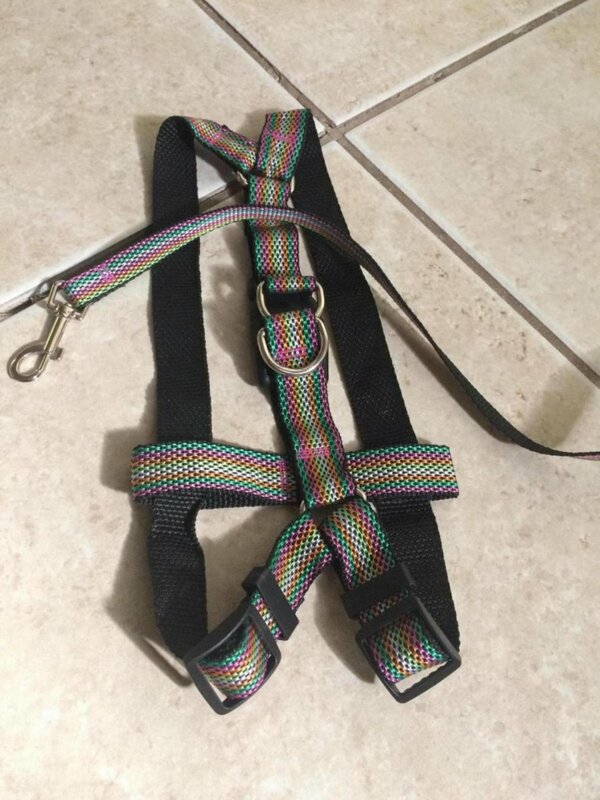 I’ve seen some really neat custom harnesses on Etsy - one has a cool print that reminds me of the pink serapes I used to make my dad buy me when we visited family in Mexico, lol. I think I may do that later, but for now the harness she has is one of those pet store ones that are pretty soft and comfy. I think if you leash up to a collar, this probably isn’t the best idea to have two layered. 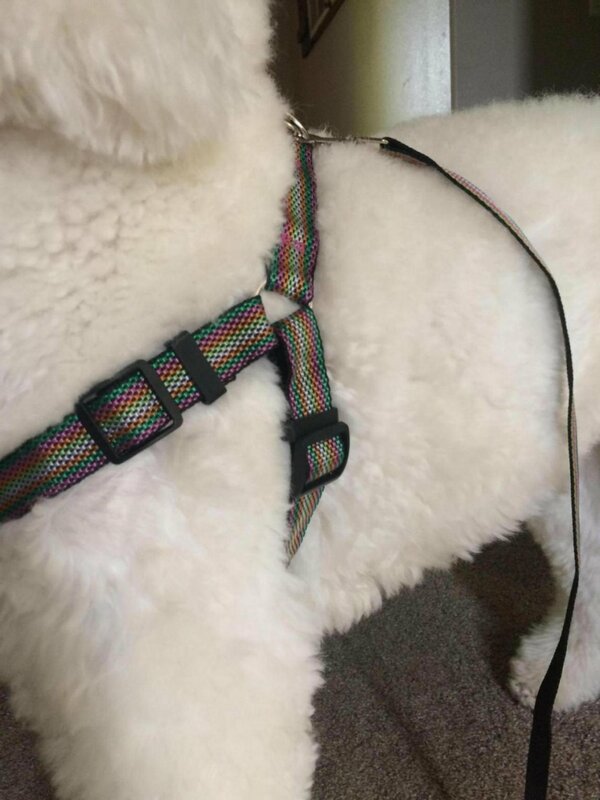 It’s more practical for me because we use a harness for walks! We also have a “porch balcony” where I do gardening and she hangs out - so for house time I think it makes sense for us! She hated the old buckle collar so much I only used it during brushing/post bath. I’ll try and find the harnesses I liked on Etsy and post a pic! I actually read that somewhere here on pf and felt so ashamed I didn’t know that with my prior dogs! But it’s very easy to slip on and off of her so it won’t be a problem to do that. We never kept the buckle collar on her in the house either. There’s this phrase that goes ‘round the Internet “when you know better you do better” - that’s what I have to remind myself with Lilah. You posted this at the absolute perfect time because I have been eyeing these and a bunch of other collars on Etsy!!! By the way, I overthink things like crazy too so no worries!! I just fell in love with the tag and ordered it first and the collar came later when I realized she hated the regular collar styles. This is the type of harness we have now from Petco. It’s a little annoying because you have to slip it over the head, pull around the strap and slip it through the slot and then buckle, but she handles it fine and it’s comfy and lightly padded. I am so in love with the Punch print!! What do you think??? I could use opinions since they’re over $40 which seems like a lot for a harness! What a beautiful set--I love it! I’m not saying that harness is a bad option, it’s extremely cute! But I bought Luna a VERY similar looking harness at dollar tree for $1 haha. And a matching leash, and a matching collar, each $1 also. The harness is a little bit small for her, but if larger I think we would use it. I’ll take some pics to show you. My thought is that with something that basic, if I could find a similar one for 1/40th the price, I would go with that. But I definitely wouldn’t blame you for buying it if you love it, I splurge on things for Luna all the time haha. Oh gosh chinchilla, that made me laugh outright! I actually love Dollar Tree, can’t beat their containers for organizing or craft items. (Or whatever else!) I’ll have to see if they have one next time we stop by although I doubt it! Thank you zm &#x1f642; really loving the new name! I love the leash and tag - so unusual, clearly handcrafted and beautiful.